. . .in August in Mississippi there’s a few days somewhere about the middle of the month when suddenly there’s a foretaste of fall, it’s cool, there’s a lambence, a soft, a luminous quality to the light, as though it came not from just today but from back in the old classic times… It lasts just for a day or two, then it’s gone. . . I thought of Faulkner’s lambent light in Birmingham recently as I walked from the Redmont Hotel to opening night of the Sidewalk Film Festival at the Alabama Theatre. 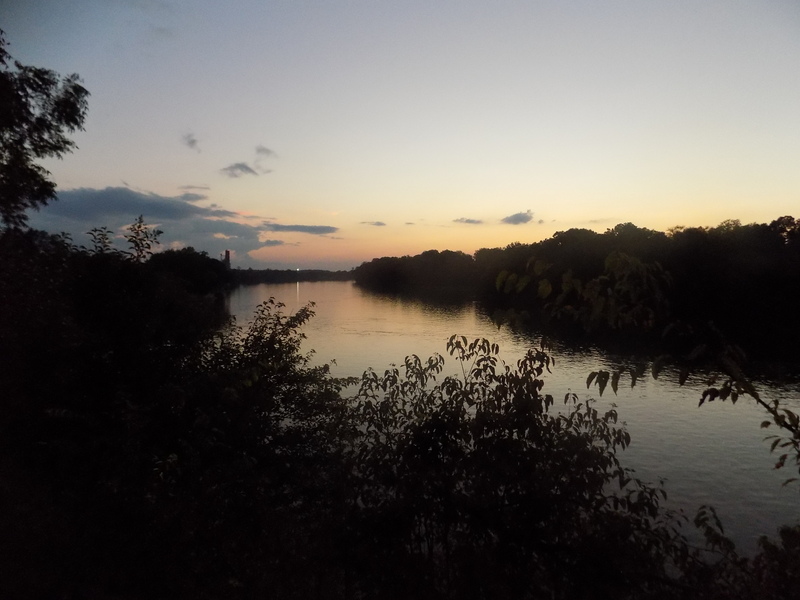 There was a cooling breeze and the late-summer sun was low in the western sky, casting a golden light on tall buildings and church steeples as I passed. That was a quiet moment before I turned onto 3rd Avenue N., sighted the Alabama Theatre marquee, and saw the line of a sell-out crowd for opening night of the 20th annual Sidewalk Film Festival (www.sidewalkfest.com). The opening night movie, White Tide: The Legend of Culebra, documents a bumbling real-life caper involving Floridian Rodney Hyden’s search for a legendary stash of cocaine buried in the Caribbean. Director Theo Love presents Hyden and other principals of the story to create reenactments and interviews. The filmmakers, along with Hyden and his wife, Jamie, were brought to the stage for the post-screening Q and A. 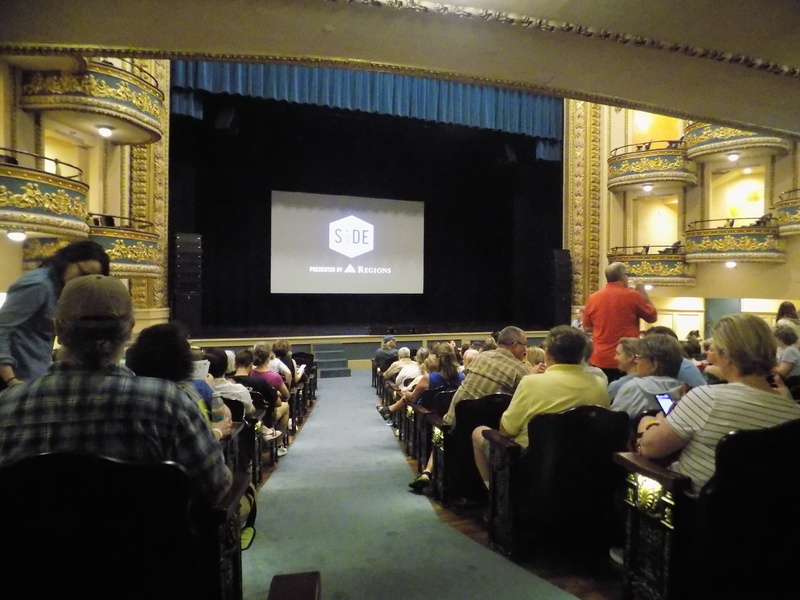 Afterwards, the Alabama Theatre hosted the opening night party featuring a treasure hunt. The party was tempting, crowded, and noisy. I made my way from the upper balcony to the lobby and out the door as I headed back to my hotel. The Sidewalk Moving Picture Festival began in 1999. My first was the 2003 edition; I was instantly hooked. Eventually I was on screening committees for the SideWrite screenwriting competition and this year, for the second time, I was honored to be selected as a Juror for the SideWrite screenplay competitions. Sidewalk and its partner, SHOUT! festival of LGBTQ-themed films, present a couple of hundred titles screened in ten venues over three days with preliminary screenings and year-long events leading up to Sidewalk’s Friday night opening in late August. Total immersion in movies begins on Saturday. Michelin Stars: Tales from the Kitchen, directed by Rasmus Dinesen (www.michelinmovie.com), feeds into my interest in food culture. It investigates how Michelin star ratings are determined and how chefs attain them. The movie was slow-paced, not as accessible as some of the memorable food-centric movies I’ve seen in previous years; I’m particularly thinking of the Ella Brennan documentary, Commanding the Table (www.ellabrennanmovie.com), and The Search for General Tso (www.thesearchforgeneraltso.com). Feature length documentaries are my primary draw at this festival. I like the opportunity to see stories I might not otherwise see and to see them in an actual theatre with an audience. Three Identical Strangers (www.threeidenticalstrangers.com), by director Tim Wardle, documents the story of identical triplets who were separated as babies and raised in different households. A serendipitous movie about three carefree young men who find each other grows darker as the three learn the circumstances of their birth and separation. A director friend came to Sidewalk several years ago to screen one of his films. He commented that the name of the festival makes sense since you are constantly pounding the sidewalk to get to the next screening. Steven’s comment came to mind as I rushed to First Church Birmingham’s screening of The Gospel of Eureka (www.thegospelofeureka.com), directed by Donal Mosher and Michael Palmieri. The Gospel … examines the coexistence of one of America’s longest-running outdoor Passion plays with the LGBTQ community of Eureka Springs, Arkansas – all under the stony gaze and outstretched arms of the Christ of the Ozarks statue. In the early years of Sidewalk, one of the growing pains was the dearth of places to eat near the theatres. Lyric Hot Dogs in the old abandoned Lyric Theatre building was a godsend in those years and was always packed with festival patrons. Food trucks were often brought in to take up part of the parking lot along 19th Street. 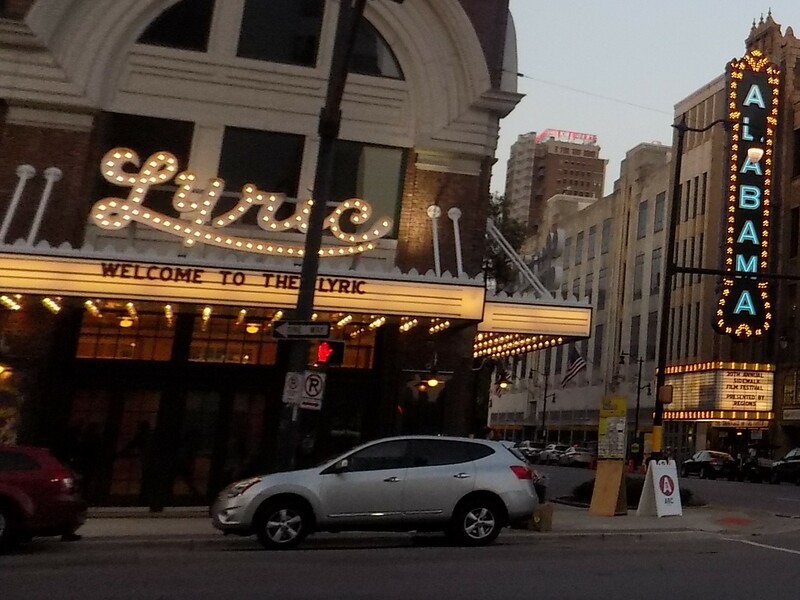 Unfortunately, Lyric Hot Dogs was a casualty of the Lyric Theatre renovation – pushed out in the name of restoration. That loss is still felt. In the meantime, with the resurgence of downtown, a host of dining opportunities have opened in the area. One of the best options for variety is the food hall at the Pizitz, a legendary Birmingham department store whose flagship location has been converted into a multi-use facility with retail, offices, and apartments (www.thepizitz.com). There are over a dozen dining options at the Pizitz, all centered around The Louis bar on the ground floor. Even more exciting for me is that the Pizitz will soon be home to two 100-seat movie theatres, the Sidewalk Cinema, providing a year-round showcase for independent films. After three documentaries in quick succession, I was ready for a break and made my way to the newly renovated Thomas Jefferson Tower for a late lunch at Roots and Revelry (www.roots-revelry.com). 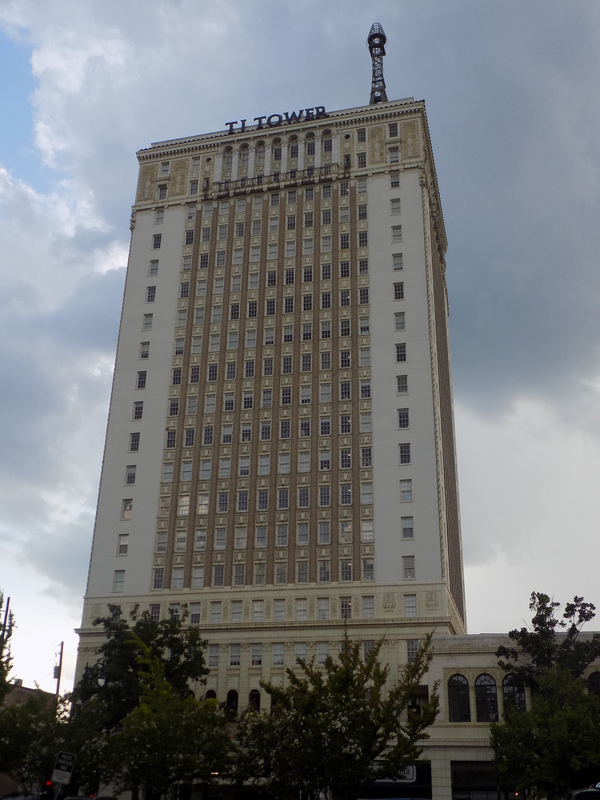 The Thomas Jefferson is a 19-story hotel, opened in 1929 (www.tjtower.com). It was abandoned for years and has been restored for residential living and retail. A most notable piece of trivia about the TJ Tower is that it still has its zeppelin mooring mast rising from the roof. In 1929, the prospect of mooring airships on the roof of a high-rise hotel was a realistic and practical one. This was, after all, eight years before the Hindenburg disaster. After a relaxing meal, I returned to my day of documentaries. Next up was Stephen Kijak’s If I Leave Here Tomorrow: A Film about Lynyrd Skynyrd. I was never a huge fan of Skynyrd although “Sweet Home Alabama” is ubiquitous in Alabama and many a late night was reenergized by “Free Bird.” I saw the band for the first time at the Georgia Jam, a stadium show in Atlanta, in 1974. They were one of several bands in a day-long event that ended with the Allman Brothers Band. Kijak’s documentary covers all of the high and low points of the band’s existence and brought back a lot of memories of the 1970s and my college years. I saw Skynyrd a couple more times before the 1977 plane crash. My day concluded with Western Hills – Sarah Marie Orr’s “making of” documentary about Birmingham musician Dan Sartain and the process of recording his album, Western Hills. I was drawn by the movie’s title, inspired by a mall in the western section of the Birmingham metro. Western Hills Mall has fallen on hard times and has been the site of gang violence, but it was a prime shopping destination for my mother and grandmother when I was a kid. Sartain, an erstwhile Piggly Wiggly butcher, previously released an album called Century Plaza, whose title is inspired by another defunct Birmingham mall. Western Hills is not about its eponymous mall, but is about the making of an album featuring Sartain’s remakes of “western” music. Orr’s documentary is the epitome of low-budget indie – quirky, personal, and odd. 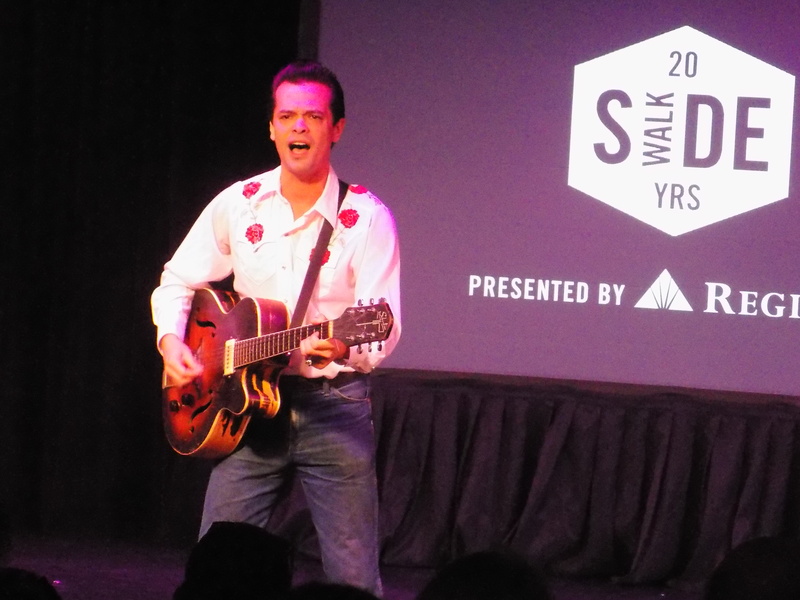 As the credits rolled, Sartain hit the stage with his guitar to perform a couple of songs from the album. I went to sleep that night with the “Theme from ‘Rawhide'” ringing in my ears. Skizz Cyzyk’s documentary, Icepick to the Moon (www.fredlanedoc.com), encompasses events I witnessed, some of which had their genesis in my own back yard. Checking out of the Redmont, I headed over to the Birmingham Museum of Art for the screening. Raudelunas (www.raudelunas.com) was a 1970s artists’ collective in Tuscaloosa during my college years. It was highly influenced by Dada, Surrealism, and Alfred Jarry’s concept of “Pataphysics,” which is metaphysics on acid (but trippier). The talented Raudelunas artists came from all fields, especially music and visual arts. Two Raudelunas principals, LaDonna Smith and Davey Williams, founded TransMuseq, an improvisational music ensemble and record label, and are known internationally for their experimental music (www.transmuseq.com). I knew many of the Raudelunas principals and its breakout act, Rev. Fred Lane – who performed in a tuxedo jacket and boxer shorts with his face liberally covered in bandages, lived in an upstairs apartment directly behind my four-plex in Tuscaloosa’s student ghetto. Rev. Fred Lane was the stage persona of artist T.R. Reed, who is now known for his elaborate and fantastical whirligig sculptures (www.whirligigman.com). Arriving at the museum, I realized that there were people waiting in the lobby that I knew in the Tuscaloosa years but I decided I wanted to stay anonymous. I probably should apologize to anyone who might have recognized me. I wasn’t snubbing them; I just wanted to play the role of moviegoer. Icepick to the Moon is a wickedly wacky evocation of a certain time of creative fomentation in Tuscaloosa. The documentary footage of events like the Raudelunas Marching Vegetable Band in the University’s homecoming parade – which I remember well – captures a sense of the creative lunacy that lurked around the University when I was an impressionable undergraduate. I attended a number of Raudelunas and Trans events at the time but was too naïve to appreciate the full impact of what was happening at their “Happenings.” Over time, I have begun to more fully appreciate what I was seeing. Rev. Fred Lane’s “(Having lunch with a) White Woman” was, and is, one of my favorite lyrics ever (right up there with David Johansen’s “Frenchette” from the same era). Mapplethorpe, directed by Ondi Timoner, is a narrative feature about artist Robert Mapplethorpe starring Matt Smith. The film is sketchy and fragmented and doesn’t feel completely true to its complex title character. Mapplethorpe’s relationships with Patti Smith and Sam Wagstaff feel oversimplified and at odds with what is known about both of those relationships from other sources (especially Patti Smith’s excellent memoir, Just Kids). Mapplethorpe’s mercurial nature comes across as one-note through much of the film. But, as Birmingham Museum of Art director Graham Boettcher said in his introduction, it was nice to revisit the 60s, 70s, and 80s in the film. On a Sunday morning at Sidewalk in 2009, I saw a movie that I still regard as one of my most transcendent experiences at the Festival. 45365, Bill Ross IV and Turner Ross’s meditation on a small Ohio town, is a moving piece of non-linear visual art in which all the elements come together to achieve a cinematic stunner. I still recommend it frequently to anyone who hasn’t seen it (www.45365movie.com). When preparing for Sidewalk 2018, I had high hopes for my final screening of the weekend. I hoped that Hale County This Morning, This Evening (www.halecountyfilm.com), by director RaMell Ross (no relation, as far as I know, to the Ross Brothers), might live up to my memories of 45365. RaMell Ross’s documentary, set in Alabama’s Black Belt region, won a Special Jury Award at this year’s Sundance and has received well-deserved critical acclaim. 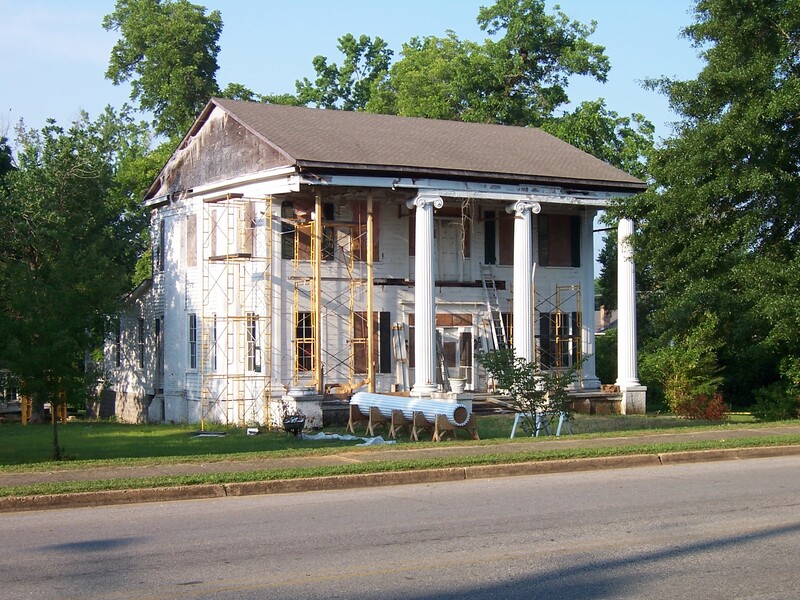 Hale County, Alabama, is a small rural county in an impoverished region of Alabama. Despite an out of the way location, the place, which flourished in the cotton economy and floundered in the 20th century, has lured writers, artists, and visionaries over the decades. Walker Evans and James Agee were based there while working on the book that became Let Us Now Praise Famous Men. Artist William Christenberry’s life’s work focused on Hale County. Architect Samuel Mockbee chose it to be the home base for Auburn University’s innovative Rural Studio. In many ways, RaMell Ross takes the buildings and landscapes that Christenberry photographed and immortalized and shows us some of the people who inhabit them today. The movie focuses on two young men – Daniel and Quincy – and spans half a decade. Daniel goes to college as an aspiring basketball player; Quincy has a family and works in a catfish processing plant. The strengths of the movie, however, are in its acute reflections on place. A toddler runs back and forth through a room to exhaustion, never giving up on a quest known only to the toddler. A ball is dribbled and the camera focuses on the drops of sweat collecting on the gym floor. Car headlights are paused on a highway for deer that casually cross. We are at the conclusion of a baby’s funeral. A long sequence past cotton fields along a road is one of the movie’s most lyrical and memorable sequences. A long shot takes us down a parade route on Greensboro’s Main Street. 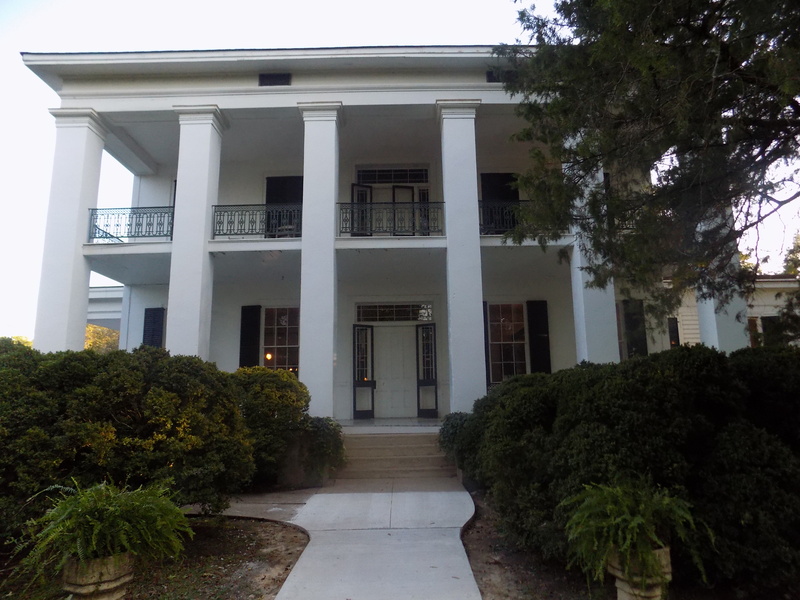 At one moment, later, the camera veers off Main Street and stops at an antebellum house. Archival black and white footage of pioneering early twentieth century entertainer Bert Williams, a black man who performed in black face, peers through bushes at the contemporary scene in one of the movie’s signature tropes. Ross interrupts his movie’s flow with rhetorical text statements that add to the mystery. He asks us to look, to listen, and to decide what to take away. Hale County This Morning, This Evening is a good movie, a compelling movie that never fully soars. I don’t know. I want to see it again. As I reflect on my Sidewalk #20, I realize that cinema – like politics – is local. Out of dozens of titles to choose from, I chose to see movies, sometimes inadvertently, that had some personal reference and connection. I guess I still seek definitions – for self, for experience, for art – in a dark theatre, watching a movie, on a late summer day. This entry was posted in Sidewalk Film Festival and tagged 45365 documentary, Alabama, Alabama "Black Belt", Alabama Theatre, Bert Williams, Birmingham, Dan Sartain musician, Davey Williams, Donal Mosher and Michael Palmieri, Ella Brennan: Commanding the Table, Hale County This Morning This Evening movie, Icepick to the Moon movie, If I Leave Here Tomorrow: A Film about Lynyrd Skynyrd, LaDonna Smith, Light in August, Mapplethorpe movie, Michelin Stars: Tales from the Kitchen, Ondi Timoner, Pizitz Food Hall, RaDell Ross, Rasmus Dinesen, Raudelunas, Rev. Fred Lane, Roots and Revelry restaurant, Ross Brothers filmmakers, Sarah Marie Orr, Sidewalk Cinema, Sidewalk Film Festival 2018, Skizz Cyzyk, Stephen Kijak, T.R. Reed whirligigs, The Gospel of Eureka, The Pizitz, The Search for General Tso, Theo Love, Thomas Jefferson Tower, Three Identical Strangers, Tim Wardle, TransMuseq, Western Hills movie, White Tide: The Legend of Culebra, William Faulkner on September 12, 2018 by gedwardjourney. 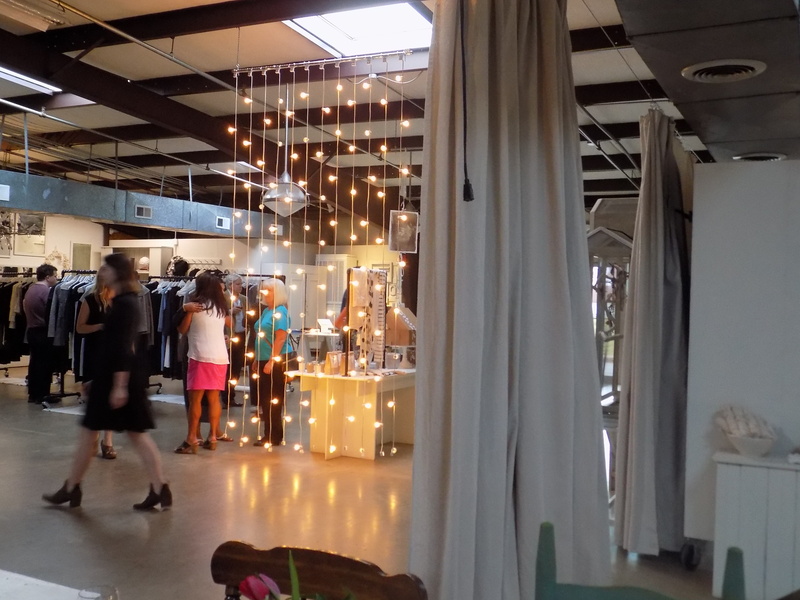 Every Friends of the Café event at the Alabama Chanin (www.alabamachanin.com) factory in Florence is special. I have not found its match in any other similar event I have attended. The sense of community and camaraderie is unparalleled and once one attends, one is hooked. When I was leaving the Factory this past weekend, Natalie Chanin, who hosts the dinners with her amazing staff, asked me what had been my favorite dinner so far (since I’ve attended most of them). I just started naming names and had no clear favorite. There is no clear favorite; each has been singular and memorable. 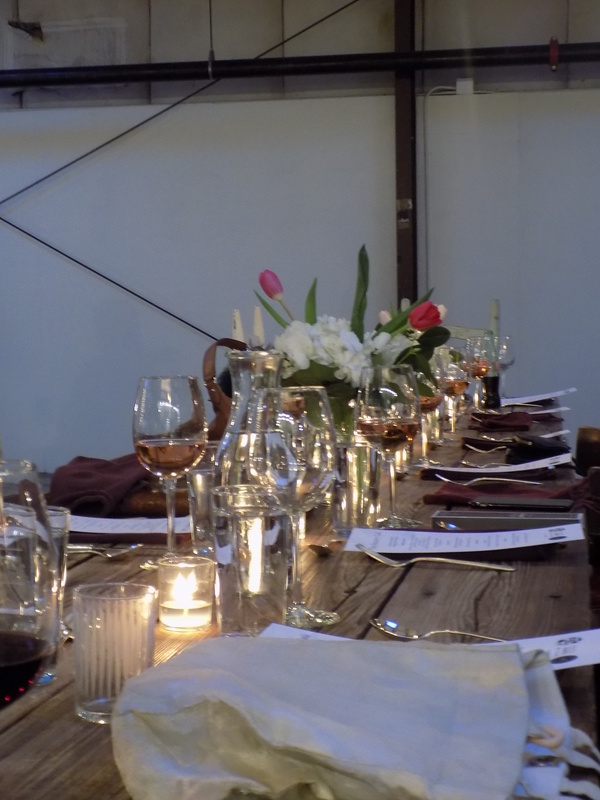 The April 15 dinner last week was especially noteworthy since Chef Scott Peacock was in the kitchen. In 2010, Peacock, the James Beard Award-winning Alabama native, left his position as head chef of Watershed in the Atlanta area, moved to Marion, Alabama, in the middle of the Black Belt, and became, for many who knew of him, a bit of a mystery man. 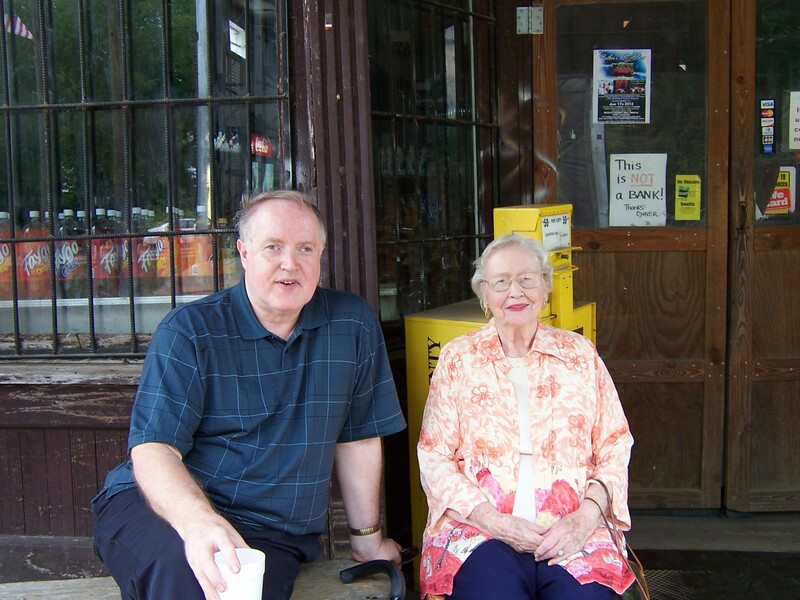 I first heard that Peacock was in Marion when a friend in Greensboro told me that Scott had contacted his mother to be interviewed for a documentary project about older Alabama cooks and their foodways. Over the past few years, I heard less and less about that project and wasn’t even sure if Peacock was still kicking around Marion. He has been a columnist for Better Homes and Gardens and I know he might occasionally be sighted at events such as a Rural Studio supper in the Black Belt. His cookbook, The Gift of Southern Cooking (Knopf, 2003), is a collaboration with Edna Lewis that is full of wisdom, information, and fresh takes on traditional recipes. It is an indispensable part of my kitchen library. Ms. Lewis, a Virginia native and expert on Southern food, gained fame as a cookbook author and in the kitchen at several New York restaurants. She and Peacock became close friends and she lived with him in Georgia where he cared for her in the last several years of her life. In fall 2016 Natalie Chanin’s online journal did a piece on Scott Peacock’s experimentation with indigo and other plant-based dyes at his Marion home base and ended that fascinating conversation with the information that she and Peacock would be hosting a Friends of the Café dinner in Florence in spring 2017. Proceeds from the event would benefit Southern Foodways Alliance (www.southernfoodways.org), one of Alabama Chanin’s favorite causes. On the afternoon of the event I met my friend Cindy in Cullman and we made the trek to the Alabama Chanin Factory on a beautiful Holy Saturday evening in the Shoals. As the passed hors d’oeuvres began to make the rounds among the assembling guests, there was much excitement about the varieties and tastes on display. In fact, the entire meal was a lesson in simplicity and finding the best flavors in the best ingredients. Most importantly, allow those ingredients to speak for themselves. The hors d’oeuvres included iced oysters on the half shell with Edna Lewis’s spicy dipping sauce. The dipping sauce was simple and elegant with salt and vinegar, green onions and shallots, garlic, peppercorns, and parsley. It was phenomenal, as were the Gulf oysters. Other hors d’oeuvres included fresh radishes with a bowl of whipped butter for garnishing. One of the diners asked if it was a “Southern thing” to eat buttered radishes; I wasn’t aware that it was but after tasting those, it is now – at least at my house. Beautiful and delicious halved soft boiled eggs from Cog Hill Farm were passed around with a garlic-parsley sauce. Beside the radishes were razor-thin slices of Pineywoods beef sausage from the Black Belt. The Pineywoods cattle are an endangered breed directly descended from cattle left on the Gulf Coast by Spanish explorers in the 15th and 16th centuries. A renewed effort is being made to locate the breed, which lived for centuries in the wild, and replenish them (www.pcrba.org). The final hors d’oeuvres to be passed were tomato and goat cheese toasts that had the crowd exclaiming. The goat cheese was rich and buttery and one of the servers said it was from Humble Heart Farm in Elkmont (www.humbleheartfarms.com), I regularly buy my goat cheese and other products from the Spells at Humble Heart and was delighted to see them represented at this very special dinner. As the diners were seated for the meal, the three-course menu sounded deceptively simple: salad, stew, and dessert. The simplicity of the menu allowed the fresh and carefully mixed ingredients to take center stage and the flavors built on one another as a seemingly simple meal created a complexity of tastes and discoveries. The salad featured fresh watercress that Natalie Chanin had gathered from just down the road earlier in the day. 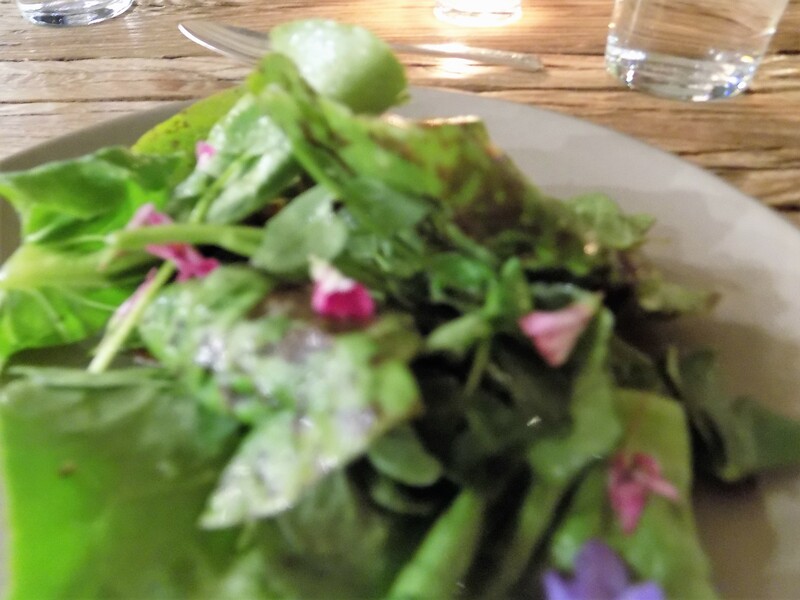 The watercress was mixed with a number of other foraged greens dressed in a simple but perfect vinaigrette. It was noted later that Scott Peacock had assembled each of the several dozen salads himself. 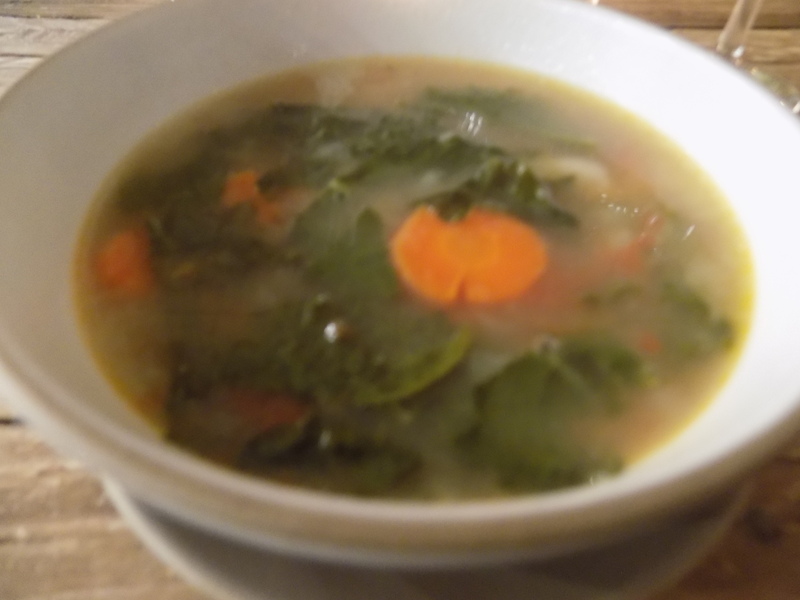 The second course was a steaming “Straddle Stew” with chicken and ham broth, onion, garlic, peppers, turnips, carrots, tomatoes, Carolina Gold rice, peas, and collards. It was a hearty and delicious stew accompanied by servings of Peacock’s mother’s “hot water cornbread.” The recipe for Dorothy Peacock’s hot water cornbread is in The Gift of Southern Cooking and I look forward to making it soon. The stew was paired with a Z. Alexander Brown pinot noir; I knew the label but did not know until this dinner that the proprietor of this winery is Zac Brown of Zac Brown Band fame (www.zalexanderbrown.com). 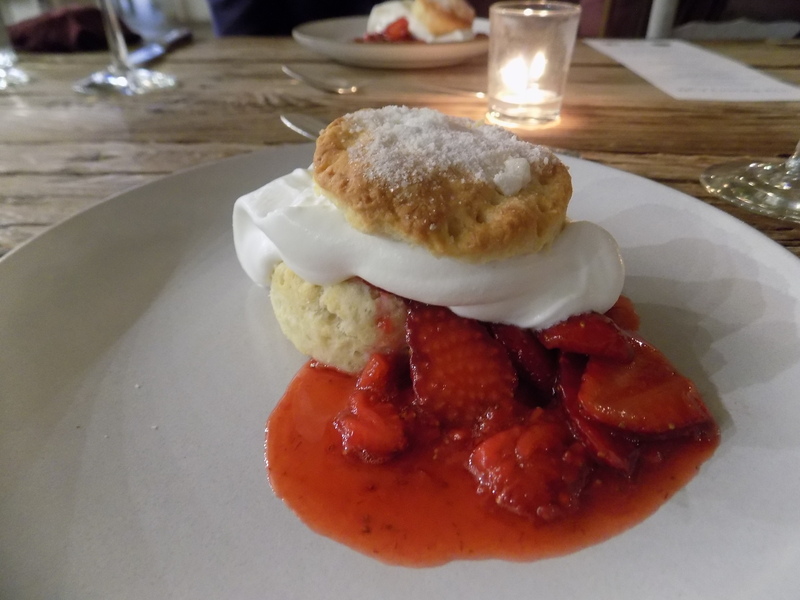 The dessert course was a delectable strawberry shortcake with soft whipped cream. Sugared strawberries were generously paired with sweet cream biscuits topped with crushed sugar cubes and covered with a spectacular slightly sweet whipped cream. 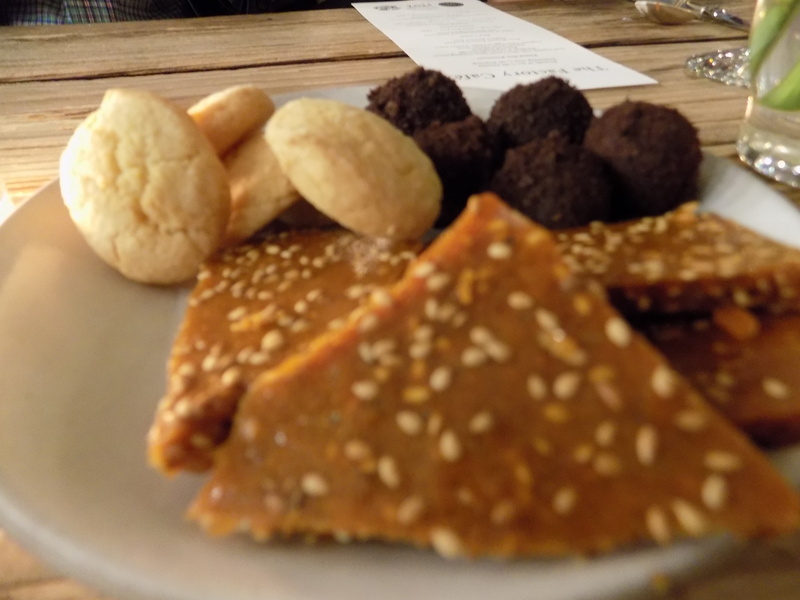 The final offering was coffee and “three kisses goodnight” as the diners were presented with small plates overflowing with tiny tea cakes, benne brittle, and tiny chocolate truffles. Finally, Scott Peacock emerged from the kitchen and shared thoughts and charm with the assembled diners. He introduced the staff that had helped him in the kitchen and talked about the good works of Heirloom Harvest (www.heirloomharvest.org), Will Dodd’s non-profit that cultivates a better and more sustainable connection between Alabama farmers and Alabama restaurants and consumers. Heirloom Harvest had gathered much of the food we consumed that night. It turns out that Scott Peacock is not elusive at all. He was warm, funny, and giving as he met with diners and signed cookbooks at the end of the night. In the past, I have praised Natalie Chanin and her cultivation of community. In gathering my thoughts about the Scott Peacock dinner, I realize how much she also cultivates education – about purveyors, products, movements – that her diners might not hear about otherwise. Heirloom Harvest. Cog Hill Farm. Pineywoods cattle. Z. Alexander Brown. These are things I had to research as soon as I got home from Florence. The 2017 Friends of the Café season is underway with four more events to come between now and October; I am happy to be able to participate. This entry was posted in Chef Scott Peacock and tagged Alabama "Black Belt", Alabama Chanin, Alabama Chanin Friends of the Cafe, Chef Scott Peacock, Cog Hill Farm, Edna Lewis, Florence Alabama, Heirloom Harvest, Humble Heart Farms, Marion Alabama, Natalie Chanin, Pineywoods cattle, Southern Foodways Alliance, The Gift of Southern Cooking cookbook, the Shoals, watercress, Will Dodd, Z. Alexander Brown, Zac Brown Band on April 18, 2017 by gedwardjourney. My Christmas cards went in the mail this week. Previous essays have chronicled my long-standing project of photographing old Alabama churches during the month of December for my next year’s Christmas card. I have written about how signing and addressing each card has become a “brief meditation” on the recipient. 2016 was a challenging year for my family and me. Last year at this time Dad was already hospitalized and there was no opportunity to go on photography expeditions. But many of my friends have begun to expect my annual Christmas card and I feel a responsibility to complete the task. The process of choosing the annual design, verse, and photo has become a welcome annual ritual that I use as an escape from day to day pressures. Since I didn’t take any church photographs in December 2015, I went back through my files to look at previous photographs of churches that I haven’t used. 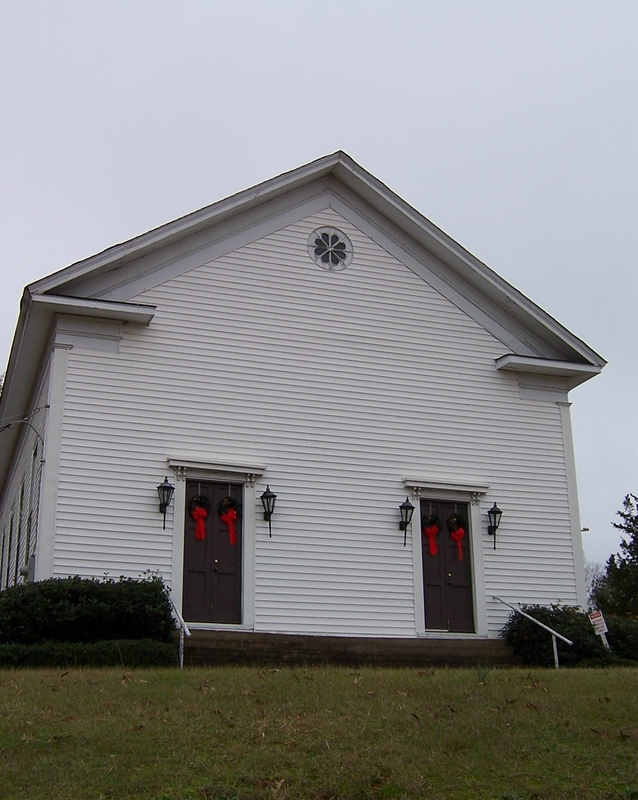 I kept returning to a 2007 image of Havana Methodist Church, an 1870 structure visible on Highway 69 in the small Black Belt community of Havana between Moundville and Greensboro. 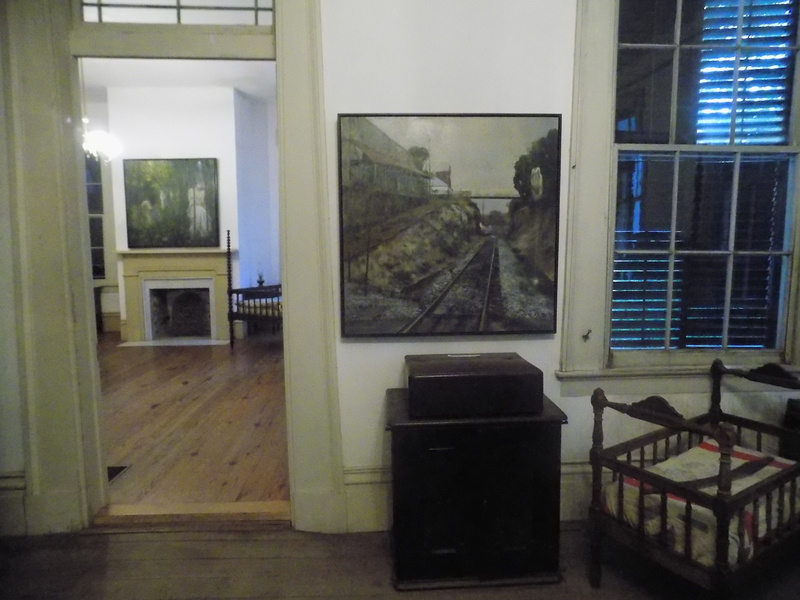 The Havana church was a frequent subject of artist William Christenberry, whose long career was centered on photographs, paintings, sculptures, and assemblages inspired by the Black Belt, especially Hale County where Christenberry’s grandparents lived. Christenberry visited and photographed his humble architectural and landscape subjects year after year, photographing their decline and bringing fame to a green barn, a Sprott church, and a Palmist sign hanging upside down in the broken window of an abandoned store, among other iconic images. When I photographed the church in 2007 I visited the family plots of Christenberry’s ancestors buried in the small churchyard cemetery. Christenberry always photographed full images of the Havana church so I decided to use a detail of the church’s handsome roof as the main image on the front of my card and put a thumbnail of the full church on the back. The church’s elegant simplicity inspired me to use a verse from Joseph Brackett’s “Simple Gifts,” a Shaker dance song, as the inside message for the card. The “Simple Gifts” tune is probably best known from composer Aaron Copland’s orchestral adaptation of it for “Appalachian Spring,” the score he first composed for a Martha Graham dance. On the back I provided the photograph credit and the note that the photograph was inspired by Christenberry along with a memorial statement for Dad, who passed away in the spring. Ironically, as I was leaving the post office on the day that I mailed my large batch of cards, I heard the news that William Christenberry died at age 80 on November 28. That news about one of my favorite artists and fellow University of Alabama MFAs (who received his three decades before I received mine) made a bittersweet holiday season even more so. Even bittersweet, I still look forward to a bright and pleasant holiday season full of comfort and joy and I still have a fervent hope for a better and more restful year to come. This entry was posted in Christmas cards and tagged Aaron Copland's "Appalachian Spring", Alabama, Alabama "Black Belt", Hale County (AL), Havana (AL) Methodist Church, Joseph Brackett's "Simple Gifts, William Christenberry on December 4, 2016 by gedwardjourney. Greensboro, Alabama, is about 45 minutes due south of Tuscaloosa in the area referred to as Alabama’s “Black Belt.” The designation “Black Belt” originally referred to the region’s rich dark topsoil but the population of the area is mostly African-American and the designation is so frequently misconstrued to refer to the area’s demographic that “Black Belt” now has different meanings for different people. I stick with the traditional meaning (and frankly find the subsequent meanings to be borderline offensive). 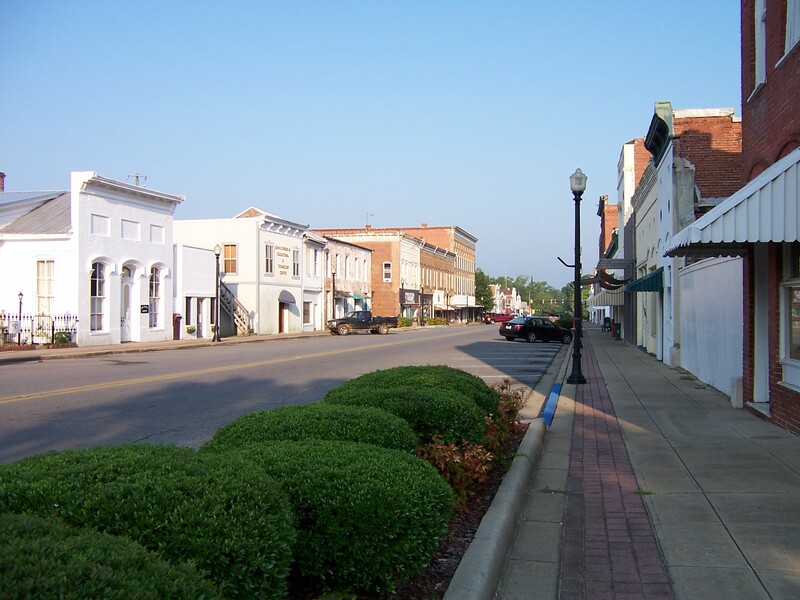 Greensboro is the county seat of Hale County with a population of about 2500. 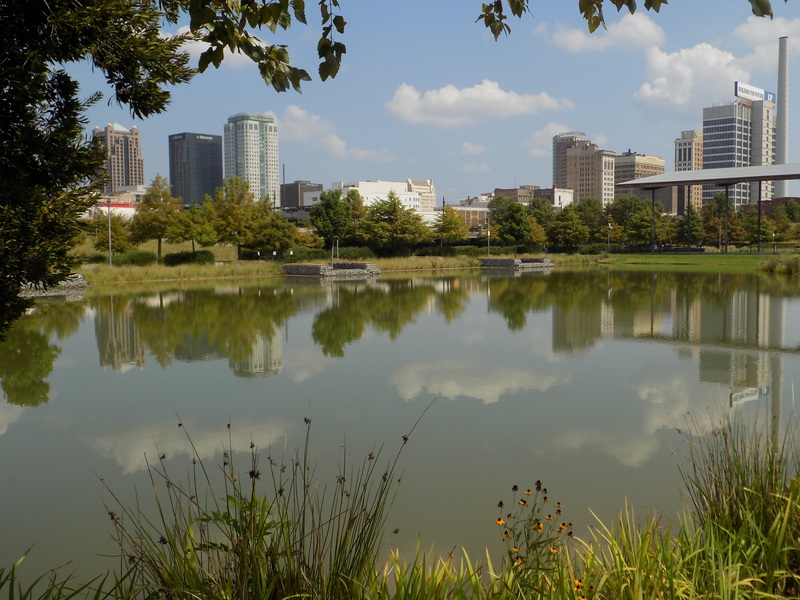 It was a thriving town prior to the Civil War but now the Black Belt is among the economically poorest areas in the United States. Even though the area is poor economically, it is culturally and historically rich and abundant. Greensboro is off the beaten path but through the years pilgrims of all sorts have come to follow the origins of James Agee and Walker Evans’s book Let Us Now Praise Famous Men, Agee’s epic examination of three sharecropper families in the Black Belt with Evans’s now-iconic photographs. 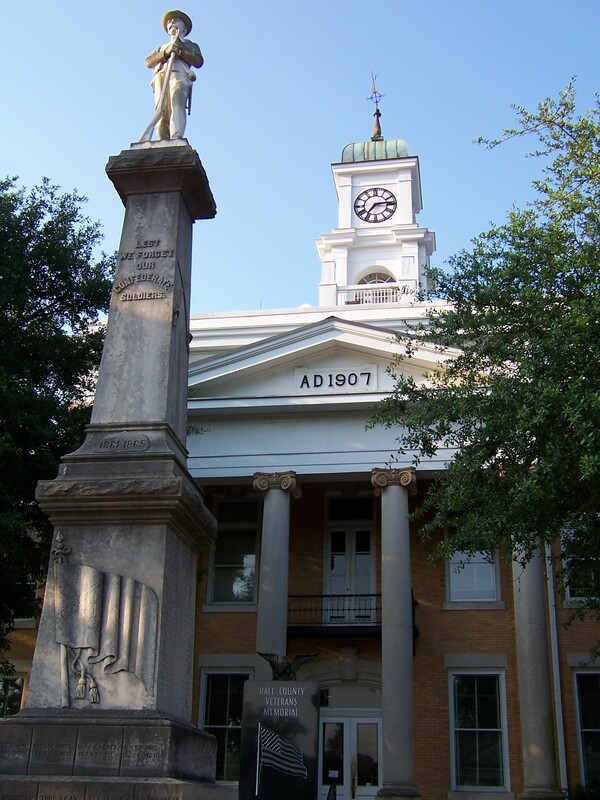 It was on Greensboro’s courthouse square that Agee first met the sharecroppers who lived in nearby Mills Hill and would become the book’s foci. The text which became the book Let Us Now Praise Famous Men originated as Agee’s commission for an article for Fortune magazine on Southern sharecroppers under the New Deal. Agee brought Evans onto the project to provide the photographs. The resulting essay was more ambitious and sprawling than Fortune could deal with and the magazine never published Agee’s piece. When Agee expanded the article into a book that was published in 1941 the tome famously sold a scant 600 copies. Let Us Now Praise Famous Men was rediscovered in the 1960s and has developed followings among each generation ever since. It still serves as a totem and inspiration for writers and a searing portrait of the lives of people who might be forgotten. Greensboro appears in the book as “Centerboro.” The famous photographs by Evans of the families and the town are enduring images of 20th Century American photography. Greensboro is a quaint town, full of patina and charm. Writers, artists, photographers, architects, and various and sundry “do-gooders” and others show up there to wander around the area or put down stakes. The town’s Main Street looks much like it looked when Evans photographed it; the town wasn’t prosperous enough to deface or demolish the buildings. Houses along Main Street and Tuscaloosa Street stay essentially the same although many of the owners no longer have the means to keep them as pristine and polished as they once were. The Greensboro area and Hale County are places that are central to the oeuvre of contemporary photographer William Christenberry. Contemporary painter Julyan Davis has used the town and its environs as subject matter over the years. 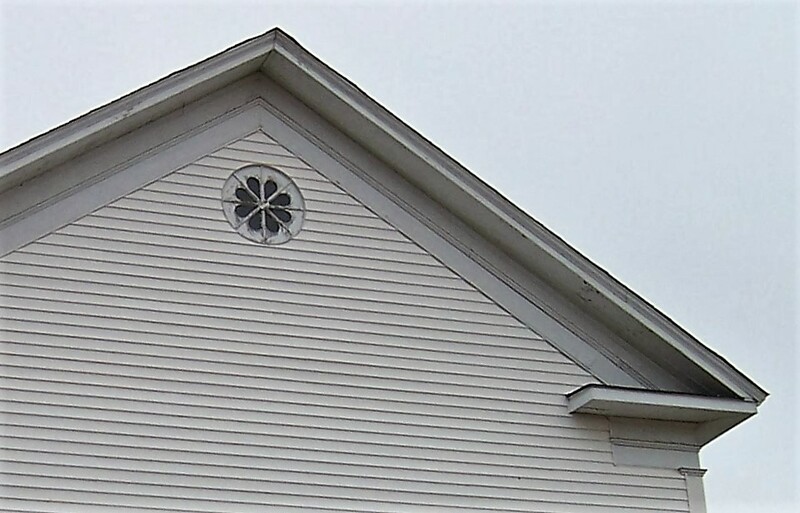 Auburn University’s Rural Studio, conceived by architect Samuel (“Sambo”) Mockbee to provide innovative affordable housing for people who need it, is headquartered in Newbern near Greensboro. 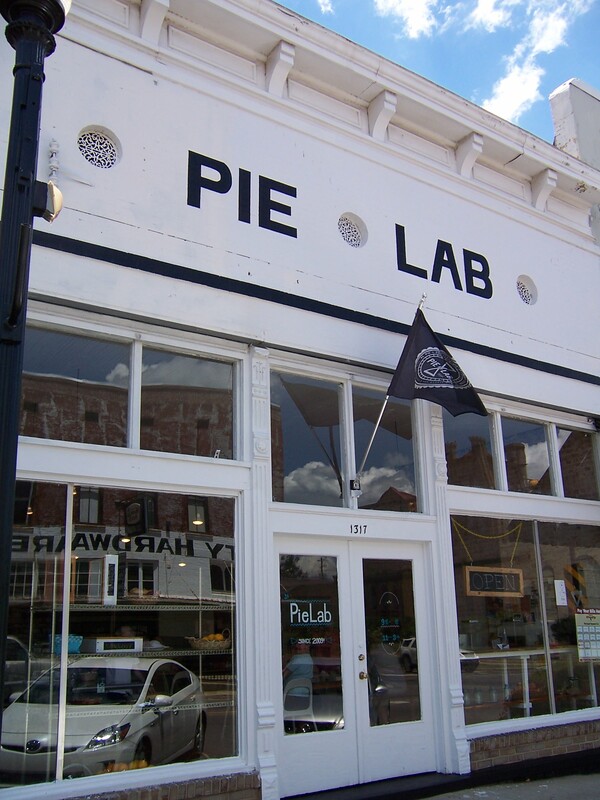 Pie Lab, which was envisioned as a place where locals and others might come together to have a piece of pie, a cup of coffee, and discuss solutions to the area’s challenges, is located on Main Street, as is a shop where bicycles are crafted from bamboo. I have traveled to Greensboro all of my life and have had friends there for decades. 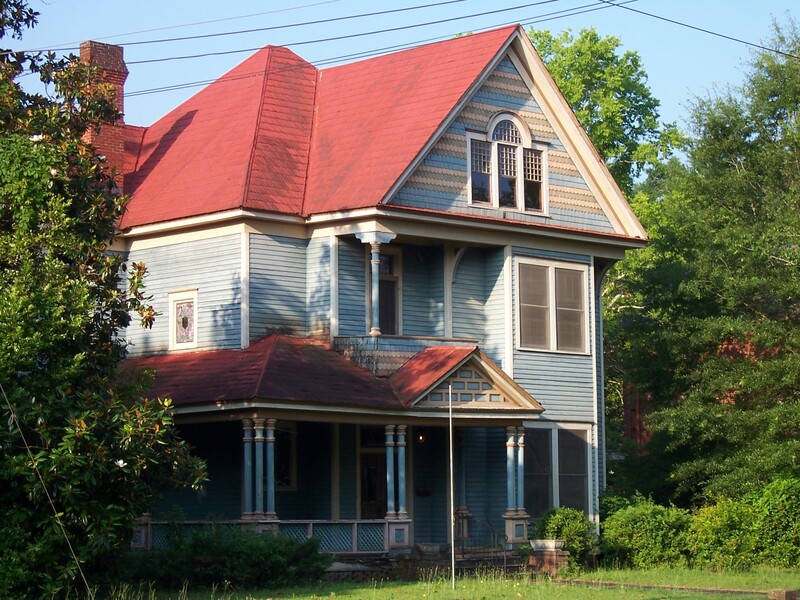 Many old houses in Greensboro still have names like Glencairn and Magnolia Grove. I have fond memories of traveling from Tuscaloosa to a summer lawn party on the grounds of Glencairn where most of the rambling guests were wearing summer whites and a croquet game was taking place on a flat area of lawn. Costume designer Walter Brown McCord would entertain with lubricated dinner parties at the Queen Anne-style home of his parents, “The Colonel” and Octavia McCord, on Main Street. Walter Brown’s dinners always included his signature Eggs Benedict somewhere on the menu. It is no surprise then that novelist and travel writer Paul Theroux traveled to the Black Belt and to Greensboro for his recently published book Deep South, an ambitious excursion into the lesser-traveled parts of the South. He spends time in rural South Carolina and Georgia near the Savannah River nuclear facility, in Alabama’s Black Belt, in Mississippi’s Delta, and in the hills and hollows of the Arkansas Ozarks, among other detours. I have known Greensboro’s Randall Curb since my college days in Tuscaloosa in the 1970s. I had been hearing about him before we met. Mutual acquaintances had assured me that I must know the man one of them referred to as “the blind sage of 12th Avenue.” I finally met Randall when these same acquaintances and Randall were leaving an afternoon screening of Alien at the Tide Theatre on “The Strip” as I was arriving for the next screening. After that meeting and over time I became a regular at Randall’s house on 12th Avenue, spending many pleasant hours in the closest thing I will probably ever find to the enlightened and civilized salon of Gertrude Stein and Alice B. Toklas at 27 rue de Fleurus in Paris. There were always good books to discuss, good programs to watch, good music to appreciate, good magazines to skim, and good and erudite company to be had. Randall has partial vision and is legally blind but that has not stopped him from being one of the most widely-read and discerning readers I have known. He avidly attends movies and theatre when he has the opportunity and has a keen interest in the visual arts. For years, Randall has made numerous trips to England – especially in the summers when he likes to escape the Alabama heat; I have never encountered a more devoted Anglophile. In my personal collection of postcards there are some beautiful ones from Randall detailing his adventures in London, Oxford, and other far-flung English locales. We stayed in touch and I have visited regularly since Randall returned to Greensboro and I left Tuscaloosa for good. On most visits, I am treated to food and desserts prepared by Maxie Curb, Randall’s gentle and soft-spoken mother who lives nearby and usually joins us for a time during my visits. She is one of the great Southern home cooks, always astounding with her kitchen skills and culinary insight. Despite Greensboro’s relative isolation, it seems much of the world comes to Randall’s door. During the years I have known him he has been a friend and correspondent of writers, painters, photographers, and all kinds of other interesting people. He is a particularly perceptive and generous critic and some of his impressive correspondences were started by the subject’s response to things Randall wrote. Throughout our friendship I have been constantly amazed at the people Randall just happens to know. Of the dozens of photographs on display throughout Randall’s house, one of my favorites is the one of a young dapper Randall standing alongside Eudora Welty. So it seems inevitable that Paul Theroux ended up at Randall’s door and writes about him at length throughout his book and during his travels in Greensboro and the Black Belt. After reading Deep South, I’m convinced that Theroux may think Randall is the only Southern man who reads books and listens to classical music. It is through Randall that Theroux met the nonagenarian Alabama short story writer Mary Ward Brown. He writes fondly of his time with her and Randall at her home near Marion. As it turns out, she passed away just weeks after their meeting. This entry was posted in Greensboro Alabama and tagged Alabama, Alabama "Black Belt", Auburn University Rural Studio, Deep South by Paul Theroux, Glencairn, Greensboro Alabama, James Agee, Janet May of Blue Shadows Bed and Breakfast, Julyan Davis, Let Us Now Praise Famous Men, Mary Ward Brown, Maxie Curb, Pie Lab, Randall Curb, Samuel "Sambo" Mockbee, The Colonel and Octavia McCord, Walker Evans, Walter Brown McCord, William Christenberry on October 13, 2015 by gedwardjourney. Christenberry’s work focuses on memories of a fading South and his photographs capture buildings and landscapes in decay. He often photographs the same places year after year and documents how places evolve or disappear or ultimately break down completely. I have never shared Mrs. Christenberry’s concern about her son’s work, but she addresses a basic misunderstanding of the South by people who don’t really know the place. By capturing fade and decay, Christenberry is preserving images of a South that is disappearing … has largely disappeared. His predilection for finding and recording old buildings, abandoned places, overgrown landscapes – a predilection I share and which makes Christenberry’s work special to me – is driven by a need to bear witness rather than by nostalgia. Christenberry focuses on rural landscapes but the impulse seems to me to be the same as my attraction to rust and industrial decay found in urban environments. Some misinterpret these images as representations of what the South is today but Christenberry captures and honors them as a rapidly disappearing landscape. William Christenberry was born in 1936 in Tuscaloosa and left Alabama in 1961 to live and work in New York, Memphis, and finally Washington, D.C. where he has lived and taught at the Corcoran since 1968. Still, his preferred landscape for his art focuses on the environs of Alabama’s “Black Belt,” an area of rich black soil that cuts through the center of the state, where both sets of his grandparents resided. 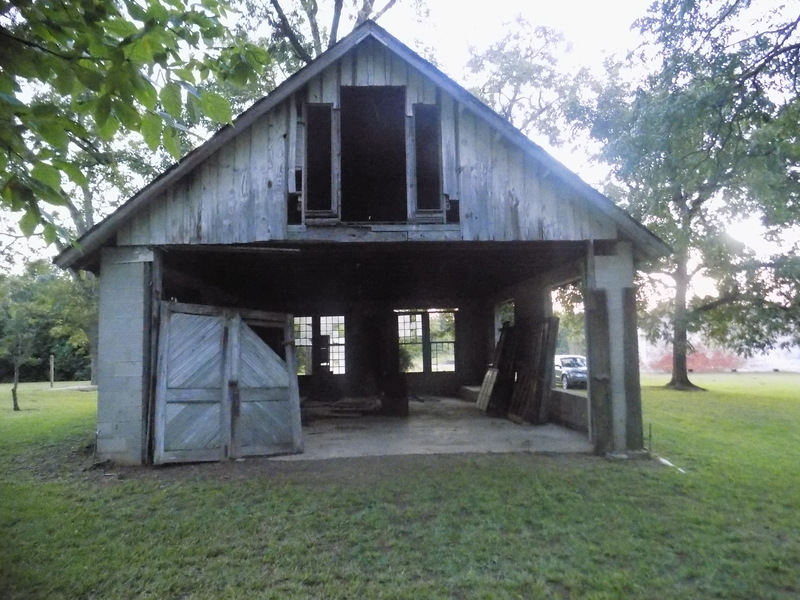 Hale County, “ground zero” for Christenberry’s art, was also the location for James Agee and Walker Evans’s iconic Depression-era book, Let Us Now Praise Famous Men, a hypnotic and microscopic examination of the lives of three Alabama tenant farm families. Occasionally, as I drive around the Black Belt in west Alabama, I will accidentally stumble across a place that Christenberry has photographed. I am startled at the discovery, stunned at the recognition, and often feel like I have witnessed some elusive ancient treasure. 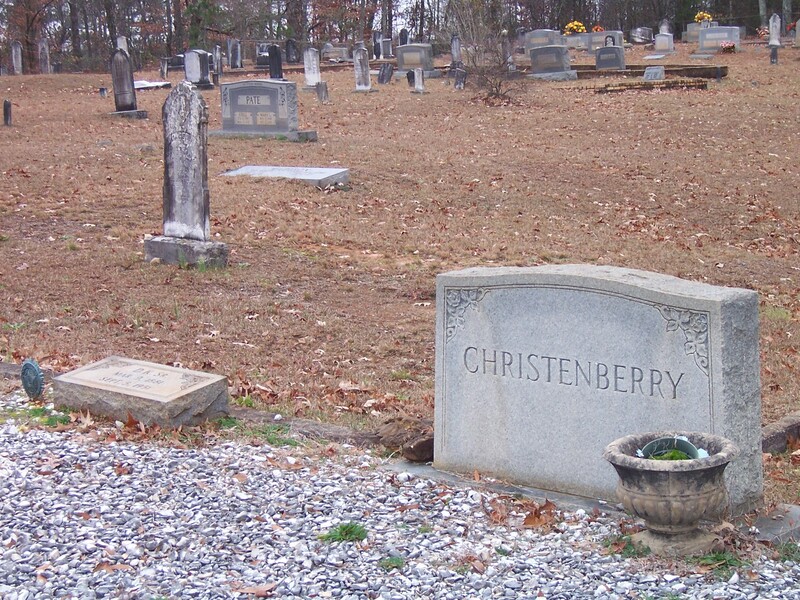 Christenberry’s art encompasses painting and drawing, sculpture, and assemblage but he is primarily known for his photography. It was photographer Walker Evans himself who became a sort of mentor to Christenberry when they met in New York in the early 1960s after Christenberry finished his M.F.A. at Alabama. Evans steered Christenberry along the path of a concentration on photography after viewing snapshots Christenberry had made with a cheap Brownie camera as studies for expressionist paintings. Often, in his sculptures, Christenberry takes the same buildings he has photographed and does three-dimensional reproductions of them, often resting on an authentic bed of Alabama red clay in a shallow box. Over time, these more realistic depictions have given way to solid white “dream buildings” and ghostly structures drawn from memory and iconographic imagery – ladders, gourds, signs, structures on stilts. Christenberry’s evocative art never tells the viewer what to think; he presents it and allows one to ponder and meditate on it, to explore the implications. 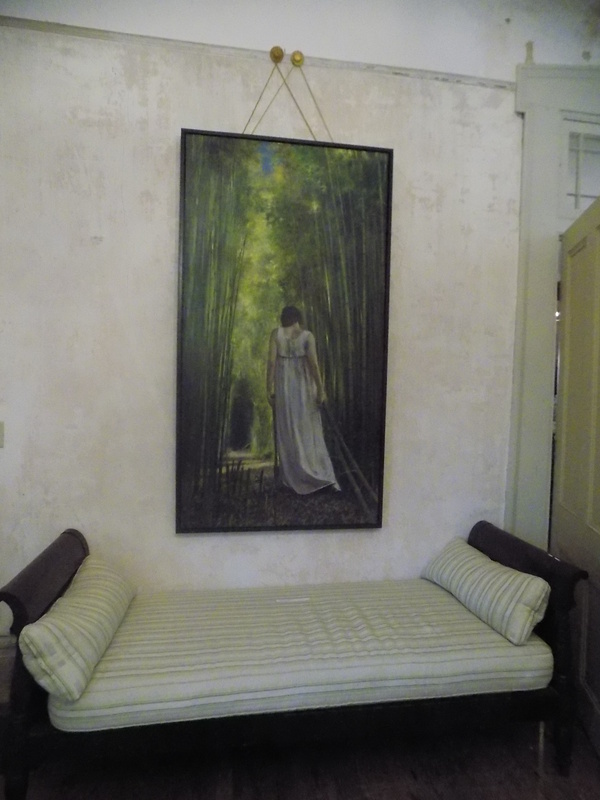 There are many books of Christenberry’s art available. These would be of interest to the uninitiated as well as those who already know the artist’s work. 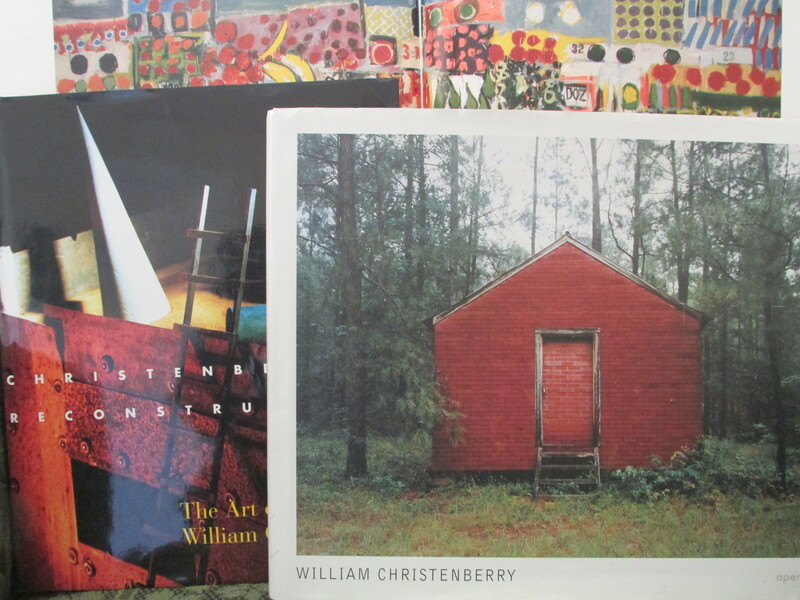 A couple of my favorites are Trudy Wilner Stack’s Christenberry Reconstruction: The Art of William Christenberry (1996) and William Christenberry (2006) with thoughtful essays by Walter Hopps, Andy Grundberg, and Howard N. Fox. My articles about William Christenberry and Walker Evans with several multimedia links may be found at http://www.encyclopediaofalabama.org. This entry was posted in art, books, photography, William Christenberry and tagged Alabama, Alabama "Black Belt", art, books, culture, fine art, Hale County, James Agee, Let Us Now Praise Famous Men, photography, the south, Walker Evans, William Christenberry on November 6, 2014 by gedwardjourney.